You can lie to yourself and pretend that branding doesn’t make a difference…but you’d be wrong. Branding brings in customers, yet so many do not pay enough attention to it, not dealing with the hassle. It’s time you met Tailor Brands, the first algorithmic branding agency is giving you the tools you need to make a top notch branding assets at a fraction of the cost associated with typical branding agencies. 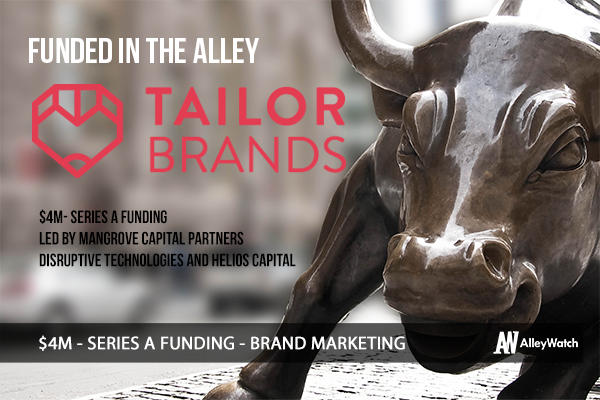 So whether you are running a coffee shop, an e-commerce business, or a good ole fashion software company, Tailor Brands has a built a solution with you in mind. AlleyWatch chatted with CEO Yali Saar about the company’s unique place in the market and their most recent round of funding. $4M Series A round led by Mangrove Capital Partners alongside Disruptive Technologies and Helios Capital. 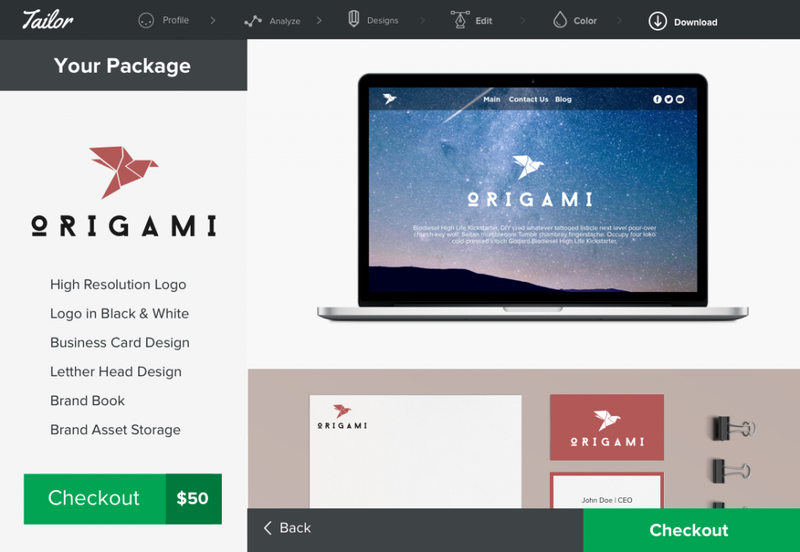 Tailor Brands is a fully automated online platform allowing anyone to design logos and branding identities in minutes. We used machine learning to create the world’s biggest, and first fully automated, branding agency. With over 500,000 users worldwide, our goal is to democratize the industry and make everything from design, through copy to creative and strategy affordable to the everyday user. We believe great branding can make a difference; the difference between a small coffee shop failing or becoming a multi-billion dollar franchise. The difference of customers paying $5 or $15 for the sandwich you make. Great branding has always required great budgets, setting a barrier of entry for many projects and small business out there. Tailor was created to empower ideas by enriching them in an automated and affordable way. We use algorithm to create the world’s biggest, and first fully automated, branding agency, an agency that could democratize everything from design, through copy to creative and strategy. I generally like to divide the competitive landscape into 3 main categories; Template based designs, Freeform Editors and Crowd sourced designs. The main issue with all of them is that you get what you pay for. There is a constant equation of quality vs. price. We don’t use templates, or crowd source the work to oversea designers. Our algorithms analyze your needs and create designs on the spot, allowing us to keep costs lows and quality high. Democratizing the industry and breaking down the barrier of entry for small business owners. It’s a billion dollar industry. Tailor Brands target audience is very similar to that of popular website builders. In a nutshell, we are talking about Small business owners, Freelancers or anybody with a project that he’s trying to get out there. Tailor currently has over 500,000 customers, including Artists Bloggers, Coffee Shops, Consultants, CPAs, Design Agencies, Fashion Designers, Freelancers, Game Clans, Hair Stylists, Lawyers, Magazines, Makeup Artists, Makers, Marketers, Musicians, Non-Profits, Personal Trainers, Photographers, Real Estate Brokers, Restaurants, School Projects, SMBs, Startups, Venture Firms, Writers and more. Design for free, Download your assets for a fee. We also recently launched our first subscription service that allows people to design unlimited amounts for a fixed fee. Do you ever assist in helping companies with logos, or are you just giving the tools? We build the algorithms and let them do the rest – you won’t find anyone in the background sketching things up while the loader is running. Funding rounds are always stressful but whenever we are done with one we remind ourselves that we are lucky. We found the ideal lead and closed everything up in the timeframe we wanted and our Seed investors supported us throughout the process. 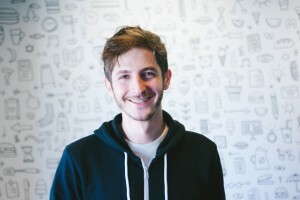 We are also very lucky to have Mark Tluszcz, Chairman of Wix, joining our board as part of this round. Everything. As a product person I think the main challenge is stepping out of your own head and trying to look at what you’re doing from a distance. Your vision might be crystal clear to you while working on new features but there is also an art in properly communicating it to people that are less familiar with what you are doing. We do what we do because we love what we do and we succeed for the same reason. Capital or no capital. Our investors know that there is nothing we care more about than our product. Also, the market we are servicing is huge and the disruption that our technology poses on traditional players is hard to ignore. Find a business model. Use outside capital for growth not for survival. Becoming the biggest branding agency in the world. Servicing the long tail of this industry. I want people to say WPP, IPG, Omnicom, Publics and Tailor Brands in the same breath. So many great ones to choose from: EN Japanese Brasserie & Saxon and Parole are two that I love. Previous What’s the Worst Case Scenario if You Fail to Protect Your Customer’s Data?